It is obvious that DNA testing is popular in the United States and the UK. Most, if not all, of the news we hear about DNA testing kits, the companies who sell them, and the results customers receive, is about people who live in the US or UK. In China, DNA testing is a niche market, but is growing. There are several reasons why. There are many people who choose to work on their family tree in the hopes of confirming that they are related to royalty. This is true for people who have English heritage – and for people who are Chinese. It starts with a family story about having royal blood, or about being related to a famous person. SixthTone posted an informative article about DNA testing in China. In the article, CEO of 23Mofang, Zhou Kun, confirmed that people frequently turn to the DNA test kits to confirm royal or famous lineage. In China, people wonder if they are a distant relative to Liu Bang (founder of the Han Dynasty), Li Bai (a prominent poet), or Li Shimin (emperor who solidified Tang Dynasty rule). 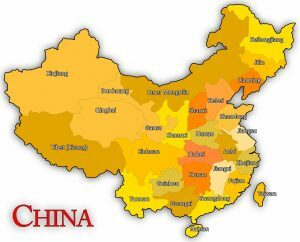 China is a multi-national state that is composed of 56 ethnic groups. The largest group is Han Chinese, which account for 91.59% of the overall Chinese population. There are 55 minority ethnic groups in China. They are: Achang, Bai, Blang, Bonan, Bouyei, Chaoxian, Dai, Daur, Deang, Dong, Dongxiang, Dulong, Ewenki, Gaoshan, Gelao, Gin, Hani, Hezhen, Hui, Jingpo, Jino, Kazak, Kirgiz, Lahu, Li, Lisu, Louba, Man, Maonan, Miao, Monba, Mongol, Mulam, Naxi, Nu, Orogen, Primi, Qiang, Russ, Salar, She, Shui, Tagik, Tatar, Tu, Tujia, Uygur, Uzbek, Wa, Xibe, Yao, Yi, Yugur, Zang, and Zhuang. Over time, genealogical records may have been destroyed, or lost. There were interethnic marriages that happened. One way for a Chinese person to discover their heritage is to take a DNA test and see what the results say. Nations Online states that the history of ancestor veneration in China has its roots in the Zhou Dynasty. It was when ancestor worship became increasingly popular. In Taoism, family is viewed as a closely united group of living and dead relatives. The belief is that deceased family members have a continued existence. Living relatives pay respects to their deceased ancestors. Tomb Sweeping Day takes place in April. People honor their ancestors at grave sites by sweeping the tombs and offering tea, wine, and paper accessories. DNA testing can reveal information about a person’s heritage. In China, people might view DNA testing as a way to pay tribute to their ancestors by learning more about their ethnic heritage.